There was a recent piece of movie-related news that got me thinking about how we’re constantly growing and changing, how — for many of us — the person we were even just a few years ago would seem like a stranger to us now. It checks out in the broadest sense; we’ve all said and done things we regret, things that we’ll randomly flash back to while we’re taking a shower or driving to work and shudder with embarrassment. We’d never do or say those things now, we tell ourselves. We’re a different person. But then there’s that old adage about how turning twenty doesn’t make the nineteen year-old version of us disappear. Like the seventeen and eighteen year-old person before them, that person merely gets folded into the next iteration of our identity as it expands and contracts for as many years as we’re fortunate enough to get. Thirty-one, forty-one, on and on. So in reality, we’re both the same person we always were and someone completely new. That got me thinking about how many of those embarrassing anecdotes and traumatic situations end up being foundational to the molding of that aforementioned fluid, ever-changing personality. They’re thrilling and heartbreaking in the moment we’re experiencing them, but later, once the emotional element subsides, the lesson emerges and settles comfortably into its little pocket of our brain for future reference and reflection. Much of that space is taken up by the likes of awkward first dates and bridge-burning family fights, but there’s a good chance that — especially if you’re visiting this web site — a lot of what you look back on with a knowing, world-weary smile involves the art you used to love and the reasons you’ve grown beyond it. Maybe an old pop song comes on the radio and you pretend not to know every word. Maybe you see a picture of yourself wearing something out of style and immediately announce to everyone within earshot how out of style you were. There’s often this urge to disavow what we used to love because we’re ashamed of who we used to be. 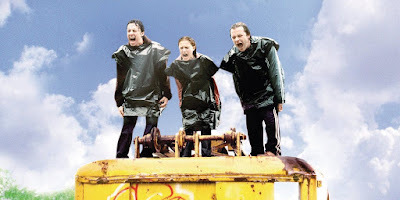 Which brings us to Garden State, the directorial debut of Scrubs star Zach Braff. Braff (who also wrote the screenplay) plays Andrew Largeman, a twenty-something New Jersey native trying to make it big in Hollywood. Though the city around him hums with excitement, Andrew — who has been heavily medicated his entire life — remains detached and emotionless. When he returns home to attend his mother’s funeral, he awkwardly reconnects with high school friends Mark (Peter Sarsgaard) and Jesse (Armando Riesco) while his estranged father (Ian Holm) struggles to reach out. Things seem hopeless until Andrew meets Sam (Natalie Portman), a free-spirited girl eager to forfeit her own character arc in the service of his emotional growth. Garden State was a Sundance darling and a box office success, but it might be best remembered for its Grammy-winning soundtrack, which popularized a number of indie acts and helped shape the twee aesthetic of later film soundtracks. If someone my age tells you they love The Shins and Iron & Wine, it’s very likely — whether they’re willing to admit it or not — that they first heard them in Garden State. I’m willing to admit it. I was seventeen when Garden State was released in July of 2004, and it was incredibly important to me. Like Andrew, I was feeling listless, disconnected, and misunderstood. I wanted shape and meaning for my life. I wanted emotional epiphanies and romantic revelations. I wanted to understand the Why of it all and find a reason to keep going. I was standing alone on the precipice of an infinite abyss. What I didn’t understand, of course, what none of us can understand when we’re in that moment, is that seventeen is supposed to feel like that. That’s what seventeen is. Hell, that’s what twenty-five and thirty-five are for a lot of us. Garden State was tailor-made for that feeling, and watching it now triggered an odd nostalgia (a word often translated as “homesickness”) that I didn’t expect. It wasn’t about missing that time in my life or even wanting to travel back and tell my younger self not to fret. I wasn’t rolling my eyes at the film’s pretension or thinking about what a tremendous douche Zach Braff turned out to be. I was crawling into one of those corners of my brain and reintroducing myself to the person I used to be. This is important because the person I am now thinks Garden State is a flawed and immature film, at times hilariously overwrought and pathetically naive. Of course I do. It’s vain and overly affected, always doing the most obvious thing in the most obvious way. Andrew’s WWII-era (era) motorcycle is obnoxious. The “bathroom wall” shot that blends his shirt into his surroundings made my nose bleed. Sam’s tap dance to the rising crescendo of Remy Zero’s “Fair” made me laugh out loud. Of course it did. Garden State isn’t for the person I am now. It’s a high school poetry journal, and I’ve lost the linguistic ability to read it the way it needs to be read. It reminded me of when my stepmother — then in her early forties— told me she’d finally caught up with The Catcher in the Rye and hated it. Of course she did. It’s not for her. It’s not for anyone after their twentieth birthday. We can always appreciate its literary merit, of course, but will we ever truly speak its angsty, rebellious language again? I felt the same way watching Garden State recently: I recognize exactly what it is and why it mattered to me so long ago. I simply do not speak its language anymore. None of this is to say that an adult can’t enjoy Garden State. After all, I didn’t see The Graduate or Harold and Maude until well after I should have, and I’ve loved them all the same. I think The Edge of Seventeen and The Perks of Being a Wallflower — coming-of-age films released after my “time” — are outstanding. Nor am I looking to jump all over the film or anyone who enjoys it. I love Garden State, and I always will. I’m merely reflecting on the experience of revisiting something that feels intimate and personal to someone who no longer exists. Like the pop song or the embarrassing clothing, my first instinct is to disavow it, to make excuses for my inexperience and assure other cineastes that I now know better. Instead, a more productive instinct might be to appreciate the way it pushed seventeen into eighteen and nineteen into twenty. Other films picked up from there, films that made Garden State seem, well, worse in retrospect. But a piece of it will always be stored in that small pocket of my brain that other pockets built around, and though I might no longer feel like the person who first saw it in 2004, maybe he’s not as far away as I think. So, what’s your Garden State? Igby Goes Down and Donnie Darko would be my Garden States. I still enjoy both, but watching now I find that they don't have the same hold over me that they did as a teen. Great piece. Garden State definitely fits into this category for me too. While it is easy for me to see their flaws now (as you point out), I find myself being sad that these films don't hold the same power they once had over me. There is something soothing about being spellbound, whatever age it may be. Great column. I was nodding in agreement the entire time. 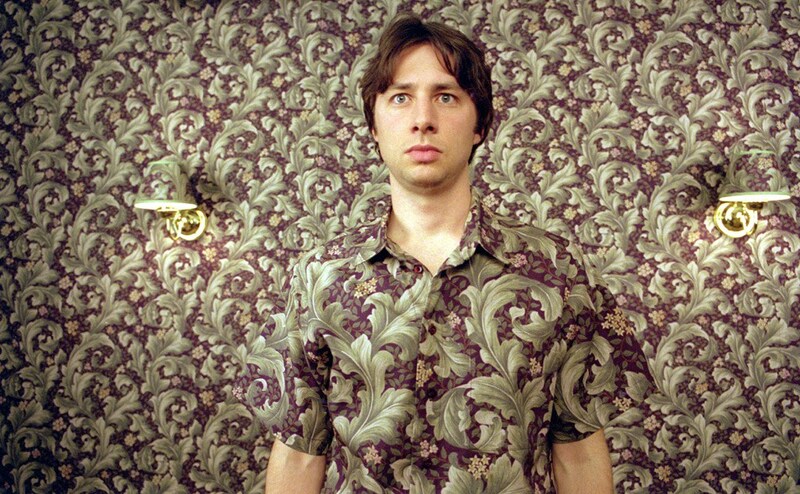 I had an existential crisis while watching Garden State in the theater on a date back in '04. I didn't like the woman I was on the date with and I left the theater to hide in the bathroom for 20 minutes or so. I knew I needed to see Garden State the right way - alone. My Garden State is a weird choice. It's Crazy/Beautiful. I remember seeing Dunst as this depressive mess and being like "that's me!" When her dad (Bruce Davidson) is telling Jay Hernandez to stay away from his daughter because SHE'LL ruin HIS future, I was all "Oh my G-D. Stay away from me world. I'm a mess too." It was a very weird relationship I had with this movie because I thought Dunst was super phat in that movie but also I was identifying with her....??? I tried watching it years later and just thought "Oh jeez...this is not great." Such a great piece, Rob. 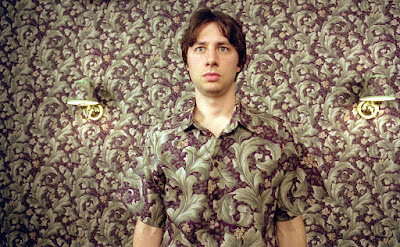 You and I have so much in common, it’s no surprise that GARDEN STATE is my GARDEN STATE. It still rates at 10/10 for me because of the emotional punch it pulled back then that still lingers today. But I agree: I relate to almost nothing in this movie now. I still, though, put it on once a year and disappear from present day for 90 minutes because sometimes I miss the old Anthony. Like many movies from our formidable years, they hold a special place in our hearts for one reason or another. GS and CLOSER for my early twenties; CAN’T HARDLY WAIT and EMPIRE RECORDS for my high school days; DIRTY DANCING and MANNEQUIN for the kid Anthony. While not necessarily the greatest movies, I’m transported back to the times and places I first saw these whenever I watch them. That’s the power of cinema, and that’s why it means so much to us. on a tangent - I think he beauty of Catcher in the Rye is that you have a completely different point of view when you read it in your teens and when you read it in your 40's - you see the same story from a very different perspective - and that is part of the point. I believe it holds up and is effective reading it as a youth and as an adult. My apologies to your Step Mom - it is okay with me if she didn't like it. That is a great article Rob. For some reason I am the other way around. I did not care for it really at all on its initial release. I was perplexed about what he fuss was about. My wife wanted to re-watch it again a few weeks ago and, on that second viewing, 14 years after it was first released, I really enjoyed. I think the distance from who I was at the time of first viewing was key. In 2004, I was around the same age as the characters in the film and I just could not connect. I saw it as some sort of self conscious , non-organic effort to produce a twee meaningful film that would ride the little miss sunshine wave. Now on watching it, I just really enjoyed it. Hard to explain.